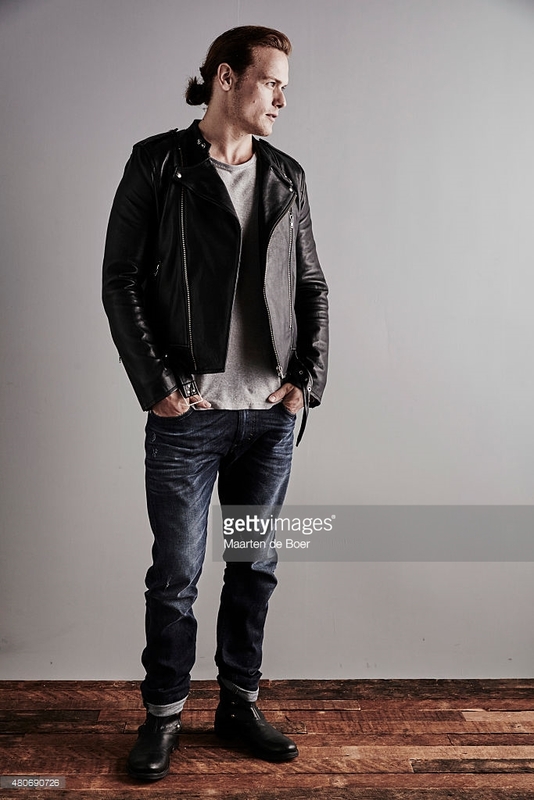 Outlander Central: Sam Heughan - You've Come a Long Way, Baby! The Scottish-born star of Outlander on upstaging Michael Fassbender, mastering the Metro, and skipping work in London for an audition in L.A. I've been to L.A, on and off for the past 12 years. I think I pretend to be an Angleno - I like to play the role of one. I was flown out to test on a TV show in 2004, and at the time I was a struggling actor working in London in theater, which doesn't pay an awful lot. I remember the whole experience, from having a limo driver to flying first class to staying at an amazing hotel. I'm wandering around, thinking, "This is insane. I probably don't have enough money of my own to buy a beer," but I had some time off and went to see the Chinese Theater and the Kodak Theater. I'd just arrived and was looking down at the stars on the street, and my phone rang. I was working at a bar in London part-time, and it was my bar telling me that I had missed my shift. They asked if I would be there in about ten minutes, and I said, "I'm really sorry, but I'm in Los Angeles!" They thought I had slept in. I came back after that on my own for pilot season, and a producer set me up in a house in West Hollywood. I still hadn't gotten a grip on the city - I couldn't drive at the tme, so I went to all my meeting on the bus. It would take hours to get anywhere, and I'd turn up sweaty and exhausted and slightly lost. They'd say, "Do you need to validate your car?" and I'd be like "No,.." But I got to learn the streets and the city pretty well, and I could tell you what bus to get. My first driving experience in L.A. is so embarrassing. I passed my test in the U.K. because I knew I was coming to America.The first car I had here was a bright yellow Fiat 500, which is the smallest car in the world. And I'm a pretty big guy. I remember driving up to CAA - the valet got in an parked my car between a Mercedes and a Porsche. And there was my little car. But in a way I felt very proud of it. I don't drive it anymore; I take the Metro a lot. I enjoy it when I'm going to Staples Center to watch basketball and ice hockey because then you can drink some beer. I had never walked the red carpet at the Golden Globes until we got nominated for Outlander this year. It's incredible to have spent so many years coming to L.A. and finally having something to show for it. At least half of the people in the bleachers must have been Outlander fans because they started to chant when we arrived. I was standing next to Michael Fassbender, and suddenly film crews are turning around, going, "What is this? What's going on?" That was a great moment. Later I did the drunken thing, where you walk up to Harrison Ford. I told him I was a big fan, and as soon as it came out of my mouth, I was like "What are you doing? Leave the poor guy alone!" He was looking at me like he couldn't understand what I was saying, probably because I'd had too much whisky and my Scottish accent was so strong. But he was a gentleman. 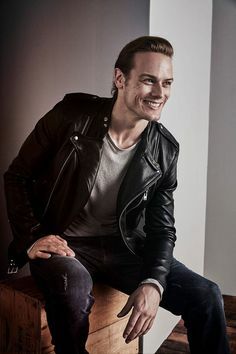 An interesting peek into Sam's life before Outlander.